Send A Message To Dr. Karseboom. Whether you have a clear idea what you need or you just need someone to talk to, Dr. Shirley Karseboom offers a complete and caring approach to address your counseling or assessment needs. She offers individual counseling for adults, children and couples in a private and comfortable setting. Her approach is collaborative and grounded in best practices. She has an on-site therapy dog and cat that can be part of your sessions. She will work closely with you to achieve your wellness goals. Dr. Shirley Karseboom has extensive experience working with adults, children and couples in a wide range of settings with a wide range of issues. 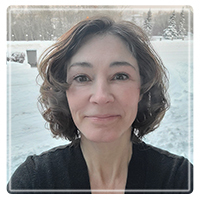 She has been a registered psychologist since 2007 in the province of Alberta and is qualified as an expert in Alberta Family Court in Parenting/Psychological Assessments and Drug/Alcohol Addictions. If you are in need of an educational or clinical assessment for a child or an adult who needs a diagnosis for school accommodations or to access other supports, she can conduct formal assessments as well. Let’s work on solutions together.